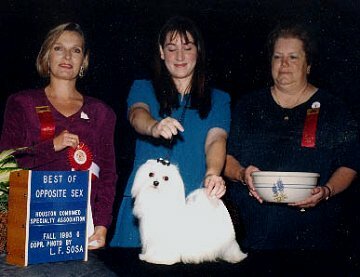 Best of Winners at the Miami Specialty in Sept 1999. 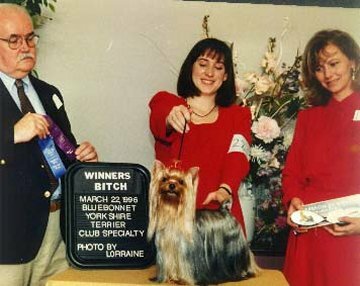 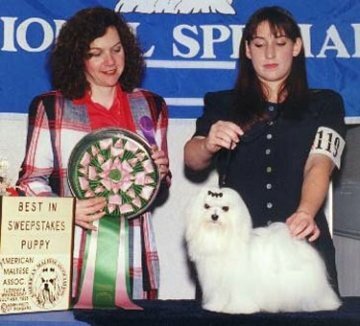 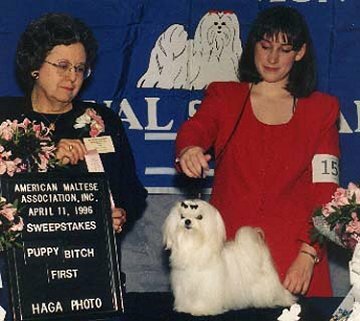 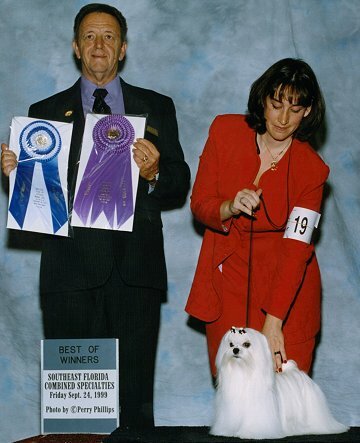 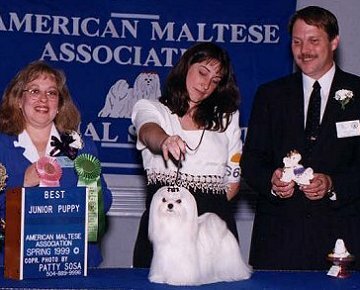 Winners at the AMA National in May 1999.
at the AMA National in May 1999.
class at the AMA National in August 1998.
the AMA National Specialty in August 1998.
dog at Maltese Club of Greater Houston, March 1998. 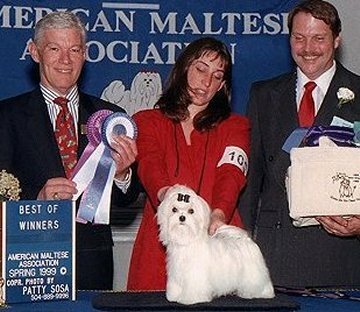 Progressive Dog Club in New York City, Feb 1998.
at the AMA National Specialty in July 1997.
class at the AMA National in July 1997. 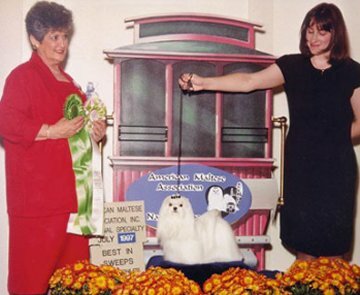 Greater Houston Specialty in July 1996. 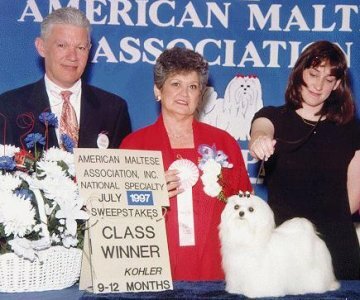 National Sweepstakes in April 1996.
at the AMA National Specialty in April 1996.
the Greater Miami Maltese Club in September of 1995. 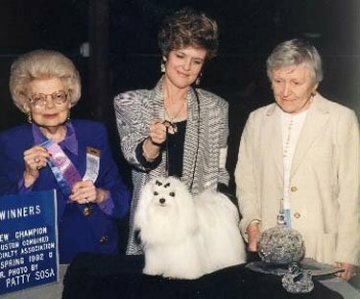 Club of Greater Houston Specialty in July 1995. 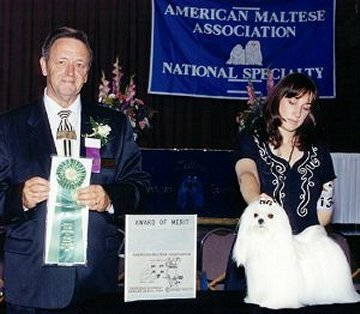 AMA National Specialty in July 1995. 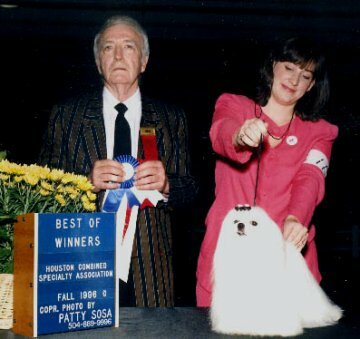 Greater Houston in March of 1992. 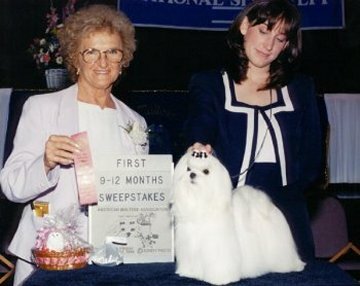 Pictures to come of more Specialty WINS!!! 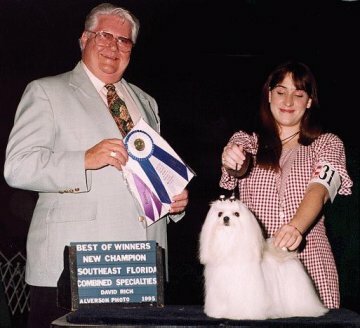 at the Miami Specialty in Sept 2000.
at the Miami Specialty in Sept 1999. 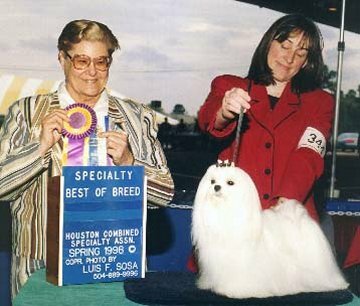 Houston Specialty in March 2000. 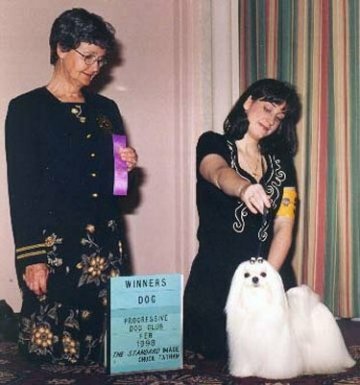 Club of Greater Houston Specialty in July 1996. 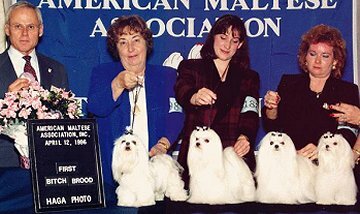 Class at the Miami Maltese Club in September of 1995.
at the Greater Houston Maltese Club in August of 1994. 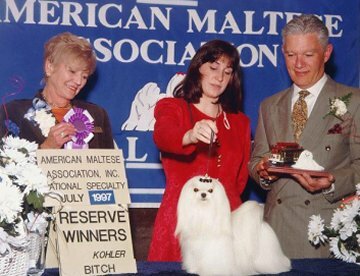 Houston Maltese Club in March of 1994.